Key difference: The zodiac sign is indicative of the sun’s position during the time of a person’s birth. The moon sign means the position of the moon at the time of a person’s birth. 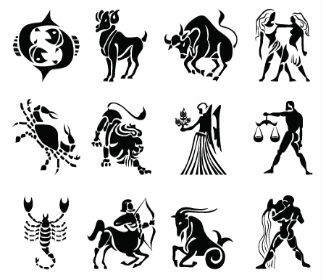 Zodiac is a form of western astrology, where the movement of the sun at the time of a person’s birth brings forth revelations about his/her physical traits, characteristics, state of mind, etc. To understand the zodiac signs conversantly, one has to first know what zodiac is, and the way it functions. In simple terminology, zodiac can be defined as a circular path comprising of twelve 30 degree segments, known as the various signs of zodiac. This circular path is also known as the ecliptic, the path that the sun takes to revolve around an imaginary sphere around earth, known as the celestial sphere. The point where the sun begins its 360 degree journey is at zero degrees, or the vernal equinox. The vernal equinox also marks the beginning of the first sign of zodiac, which is the Aries. As the sun moves along the ecliptic, it passes the various signs of zodiac, occupying each for a while, in order to pass through it completely. A Person born in a time that is the same as the duration of sun’s occupation of a particular sign, will fall under that specific sign of zodiac. Consequently, his/her traits, habits, behavior, etc. will be determined by this movement of the sun, which is what the zodiac signs are all about. Technically speaking, a day cannot come into being without the complete progression of the night. So, if an astrological report takes into consideration a sun sign or a zodiac sign, then it must do so for the moon sign as well. Simply put, a moon sign is the position of the moon at the time of a person’s birth. Like the sun has its ecliptic path along which it traverses for the course of one year, the moon has its own orbital path as well. The sun takes a month’s time to step out of a sign after entering it. Whereas, the moon is much faster in comparison and takes about 2 and 1/3rd days to pass through a sign. The moon completes its course of passing through all the twelve days in just a matter of 28 days. This is the reason why the moon sign and the sun sign aren’t the same and calculating one’s moon sign is not as easy as calculating one’s sun sign or zodiac. Moreover, the moon sign reveals a lot about a person that is not reflected on the surface. A person’s inner emotions, intuitions, fears, vulnerabilities, etc. are all determined by the moon sign. In some astrological sciences such as Vedic astrology, the moon sign is given a preference over the sun sign. The prime example attributable to this fact would be the Rashi system. Thus, the zodiac sign and moon sign are vital in a person’s authentic astrological report. The zodiac sign is indicative of the sun’s position during the time of a person’s birth. The moon sign means the position of the moon at the time of a person’s birth. Emotions, fears, vulnerabilities, etc. of a person.